Team up with players from around the world for two unforgettable weeks of football training and English language learning, experiencing Manchester City’s training philosophy and methodology. 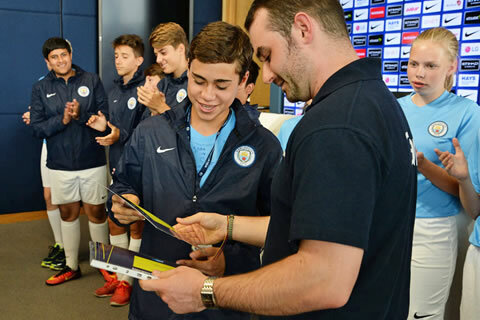 With access to outstanding training facilities and exclusive Manchester City content, players will experience an exciting journey through the world of different football professions, discovering life as a player, a manager, an analyst and a journalist. Led by a high quality coaching and teaching team, players will learn from a unique and interactive digital syllabus, designed to improve communication skills both on and off the pitch. 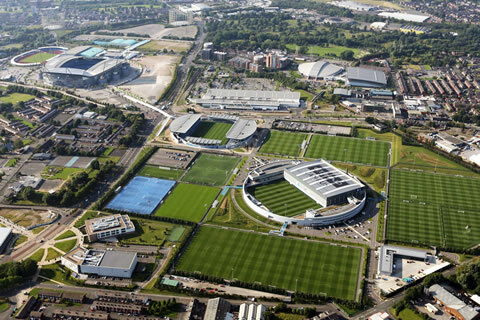 Players will train at the City Football Academy, Manchester City's outstanding training facility, home to the Club's First team, Women's team and Academy teams. Training sessions will be led by qualified City Football Schools coaches, experienced in the Club's philosophy and methodology. Led by qualified British Study Centres teachers, English language sessions follow a syllabus created in conjunction with City Football Schools, and taught through interactive digital activities designed to engage players in real-life scenarios such as commentating, punditry and video journalism projects. The programme is accredited by both the British Council and Eaquals, whose aims are to assure international students of high quality of service in language teaching and learning worldwide.